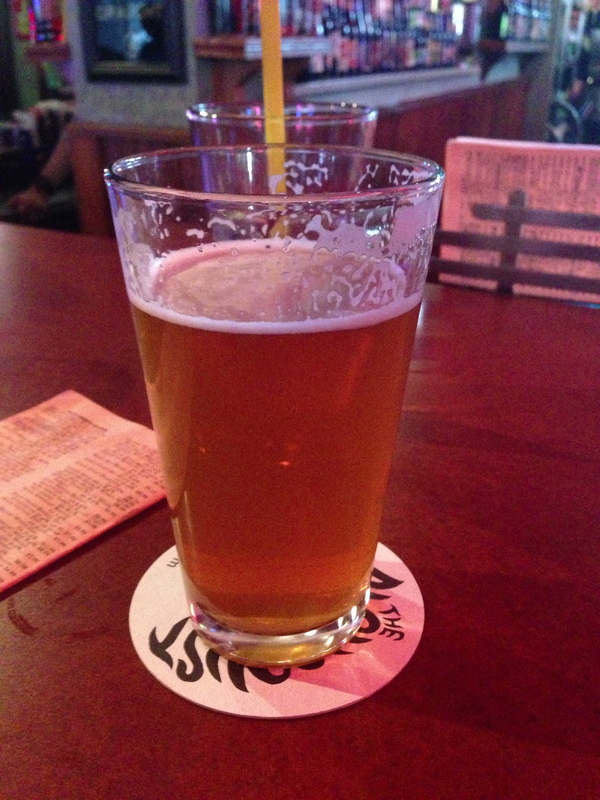 This is the third installment in a series on American-style pale ales, IPAs and dIPAs. The first article was posted July 28. Mmmmm . . . hoppy. A Stone Double Dry Hopped Ruination, at Sunset Grill in Boston. Because they all inhabit the same color range — usually 5–12 SRM, with a few examples being a point or two darker — the water requirements for American pale ales, IPAs and dIPAs are the same (although brewers may want to adjust the chloride to sulfate ratio to taste). Their malt bills are also similar, but it’s the differences that make them each stand out. 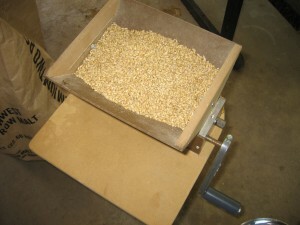 The base malt for the hoppy American ale series is usually domestic 2-row pale malt. Other pale malts — English pale ale malts, German Pilsner, Belgian pale malt — could be used, but the typical examples use US 2-row. 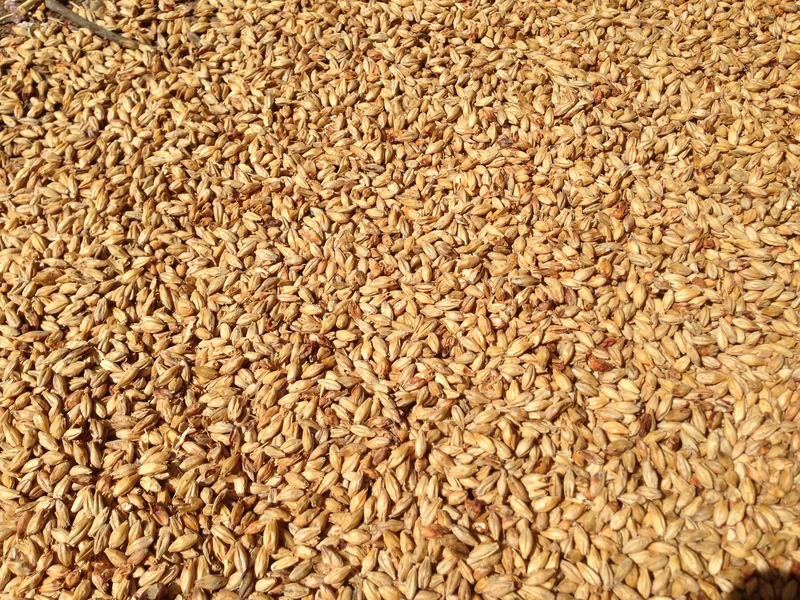 The most widely used, and frequently the only, specialty malt is crystal malt. Crystal malts from 15 to 60 °L are common, with those in the 30–40 °L range being most common. CaraPils is also found in some recipes. Munich and Vienna malt show up fairly frequently, to enhance the malt profile, and may occupy 10–20% of the grist, with the rest being pale malt and crystal. In some beers, a small amount of biscuit, Victory, aromatic or rye is used — and of course when you discuss hybrid pale ale or IPA styles, they may be prominent — but most American-style pale hoppy ales stick closely to a formula of 90% or more pale malt, with the remainder being crystal malt. Sometimes, a tiny amount of a dark grain — such as chocolate or black malt — is used for a slight color adjustment. Malt extract formulations usually feature light malt extract (either liquid or dried), with steeped crystal malts. In the next article in this series, I’ll explain how to greatly improve malt extract formulations. 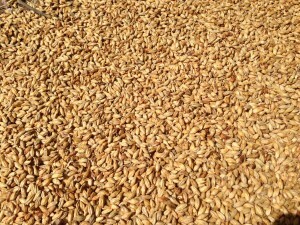 US 2-row pale malt is the base malt for most American pale ales, IPAs and dIPAs. American pale ale is derived from British pale ale. Both are balanced ales, although American pales tend to be a bit lighter in color and bit hoppier. It’s a wide range of beers, though, and it’s easy to find counter examples to this statement. As you move up the “ladder” from American pale to IPA and then dIPA, the malt to hop balance gets shifted progressively towards hops. The amount of specialty grains often decreases in hoppier beers and some dIPAs are made from only pale malt and a bit of sugar. But again, it’s not hard to think up counter examples. And, although the OG increases as you move to bigger examples, the FG does not increase proportionally — IPAs and dIPAs tend to be progressively drier than American pale ales. As one example of an American pale ale, I give my Patrick Henry Pale Ale. Giving a “classic” American IPA grain bill is bit more difficult because many early examples (esp. Sierra Nevada’s Celebration) tended to have a fair amount of crystal malt in them, whereas nowadays the trend is towards paler beers with less specialty malt. That being said, a “modern classic” IPA grain bill is roughly 95% pale malt with the rest being crystal malt in the 30–40°L range. Occasionally, darker crystal malt (60 °L) is used to compensate for the smaller percentage. In his handout, Vinnie Cilurzo advises using under 5% crystal malt (45 °L), and states that he prefers to 3.5–4% in his IPAs and double IPAs. In his book, “IPA,“ Mitch Steele (of Stone Brewing Co.) gives 93.5% pale malt and 6.5% crystal malt (15 °L) as the grist for Stone IPA. In double IPAs, or dIPAs, the amount of crystal malt typically is minimized to not interfere with the presentation of the hops. In a dIPA, 0–3% crystal malt is called for. The remainder of the grain bill is US 2-row, and perhaps 5–10% sugar (and sometimes more in the biggest dIPAs) as a kettle adjunct. The alcohol content of dIPAs starts where IPAs leave off and continues upward. The BJCP gives 7.5–10% as the range, with an OG range of 1.070–1.090. US 2-row, about to be crushed. The span of beers from APAs through dIPAs covers a lot of ground. I have tried to give the specifications for typical (or perhaps middle-of-the road) grists for these beers. Be aware, though, that nearly endless variations on the pale ale/IPA theme exist. The recommendations here will let you formulate a representative example of these styles — but keep an eye out for atypical, even oddball, beers to give you an idea of how far the styles can be stretched. Tomorrow, I’ll discuss wort production for both all-grain and extract brewers. An excellent, highly informative article at exactly the right level – thanks!